We all know of the British pound as the currency of the United Kingdom, as well as for its status as one of the most traded currencies on the foreign exchange market (currently holding fourth place, behind USD, EUR and JPY). 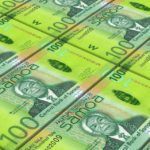 Many of us may also have been frustrated at some point or other by sterling’s relatively high value when compared to Canada’s dollar. 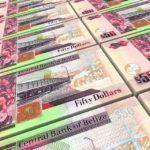 But while we are all aware of the British pound, we may not be aware of how many regional pound variations there are; both within the British Isles, as well as in Britain’s Overseas Territories. In this post, we give you a brief rundown of these variations, and where you can use them. These are likely the notes you are familiar with. As the Bank of England is the central bank for pound sterling, and the notes and coins issued by it are the sole form of legal tender throughout the UK, you will have no trouble getting these banknotes accepted anywhere you travel in Britain or Northern Ireland. Bank of England notes also serve as backing for notes issued by local governments (such as those in the Channel Islands), whose banks are not regulated by the Bank of England. On a first visit to Scotland, you may be surprised to discover that the variety of banknotes there differ from elsewhere in the UK. Indeed, banknotes in Scotland are issued by three retail banks: Bank of Scotland, Royal Bank of Scotland, and Clydesdale Bank, and each bank issues its own notes. As retail banks, the notes issued cannot be considered legal tender. They are classified instead as promissory notes. For this reason, you may experience some difficulty using Scottish banknotes in the rest of the United Kingdom. Despite the fact that it is legal currency, because it is not legal tender merchants are not legally required to accept it outside of, or technically even in, Scotland (although many still do). For the same reason, each Scottish bank is compelled by law to hold a sum of gold or Bank of England notes equal to the total value of the notes they have issued. So you will find no trouble spending your Bank of England notes in Scotland! Much like in Scotland, Northern Ireland has a number of different retail banks who issue their own banknotes. Again, these notes are legal currency throughout the United Kingdom, but because they are not legal tender you may have trouble getting some merchants outside of Northern Ireland to accept them. Currently, there are four banks operating in Northern Ireland with the right to print their own banknotes. They are: Bank of Ireland, First Trust Bank, Ulster Bank, and Danske Bank (formerly Northern Bank). As in Scotland, these banks are all regulated by the Bank of England. The Bailiwick of Guernsey, together with Jersey, form the Channel Islands – a small chain of islands located in the English Channel off the coast of France. It might surprise you to discover that Guernsey is politically neither a part of France nor the United Kingdom, but instead is legally termed a British Crown dependency. We’ll leave it to you to do your own research on all that that entails – but here’s a link to get you started! Prior to 1921, the people of Guernsey had used mostly French currency; although the Guernsey government had been minting currency of its own since 1830. British coins and notes became legal tender in Guernsey in 1870 and 1873, respectively. It was not until 1921, however, with the decline of the French franc against pound sterling, that the Guernsey authorities entered into a currency union with the United Kingdom. Adopting a local issue of sterling with a 1:1 value to the British pound, in a similar manner to Scotland and Northern Ireland. Significantly, the Guernsey pound, unlike its Scottish and Northern Irish equivalents, is considered legal tender. Though only in the Bailiwick of Guernsey itself. It does circulate freely in Jersey, but it will not be accepted in the UK. While most banks in Britain should accept Channel Island banknotes, if you have the time to exchange them in Guernsey before you leave, it would be advisable to do so! The Bailiwick of Jersey, as with Guernsey, is a Crown dependency in currency union with the United Kingdom; although Jersey adopted the pound as sole legal tender in 1834, a good 36 years before Guernsey did so. The Jersey pound is legal tender only in Jersey, though it is legal currency throughout the United Kingdom. This does not, however, obligate merchants to accept Jersey banknotes and you may have difficulty spending them in the UK. So, exchange them in Jersey before you leave or at a British bank! The Isle of Man, located in the Irish sea, is a British Crown dependency. Just like the Channel Islands, Mann is in a currency union with the United Kingdom. While the UK does not require the Manx government to back up its own issue of currency with Bank of England notes, it does so anyway. Banknotes from the various banks in Scotland, Northern Ireland and England are widely accepted on Mann, but you will be hard-pressed to find merchants in the rest of the UK that will accept Manx pounds. Addressing this concern, ATMs at the Isle of Man airport, Sea Terminal, and in the capital of Douglas issue solely Bank of England notes to assist travellers. Gibraltar is a rocky outcrop at the southern tip of the Iberian peninsula. It has been a British Overseas Territory since the Treaty of Utrecht was signed in 1713, marking the end of the War of the Spanish Succession. The British pound was made the sole legal tender there in 1898; and in 1927, the Government of Gibraltar began printing its own banknotes. In 1988, the minting of Gibraltar coins began. The Gibraltar pound is at parity with its British equivalent. Notes and coins are legal tender within Gibraltar, but although Gibraltarian coins can sometimes be found in circulation in the UK, they are not legal tender there. British coins and Bank of England notes are universally accepted throughout Gibraltar. The Falkland Islands are a British Overseas Territory in the South Atlantic Ocean. The pound was introduced following the reassertion of British sovereignty in the islands in 1833. In 1899, specific banknotes started to be issued for the territory; but it wasn’t until 1974 that specific coins began to be minted. The Falkland Islands pound has always been pegged at par to the British. While Bank of England notes are accepted universally throughout the islands, you will not be able to spend or convert Falkland Islands pounds anywhere except in the Falklands themselves. Another British Overseas Territory in the South Atlantic, the South Georgia and South Sandwich Islands have no permanent residents. Government officials there use British pounds (issued by the Bank of England). British authority in its nominally held territory in Antarctica is limited by international agreements. However, the official currency is still the British pound (as issued by the Bank of England). This British Overseas Territory, also located in the South Atlantic, used the British pound until 1976 when Saint Helena began to issue its own currency at par with sterling. Saint Helena pounds today are in use in both Saint Helena and on Ascension Island, though not in Tristan da Cunha. There, the British pound remains in circulation. Learn more about the British pound with our Currency Spotlight. Need some GBP for yourself? Come by your nearest Continental branch today!